Who are the different parties involved in purchasing property? Purchasing a property is a thrilling yet nerve-wracking experience, which is why it can be handy to surround yourself with a network of support and expertise. Here are the different parties who may be involved in your home-buying process and how you can use this valuable knowledge base to answer your questions. Unless you’re working with a private vendor, meeting a real estate agent is inevitable when it comes to purchasing a property. 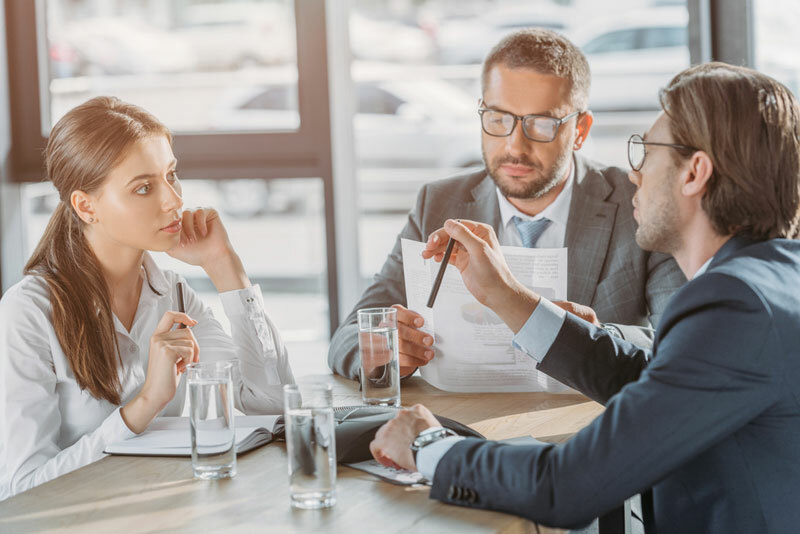 Hired by the vendor, or seller, their role is to market and communicate about the property, advice on preparing it for sale and negotiate with potential buyers. Risk management is vital in such a high-value purchase and long-term financial commitment. Insurance, including mortgage protection and property insurance, will help you avoid being hit with a major financial burden should anything not go according to plan. Many mortgage brokers can deal with insurance as well or will recommend an insurance broker who can. The legal aspect of a property purchase is taken care by a licensed and qualified conveyancer. If they are a solicitor, they can also provide legal advice. Their role is to prepare the documents to ensure that transfer of ownership of the property has met the legal requirements in your state or territory. Knowing the value of a property is a vital factor in a loan application so a valuer can play a huge role in the home-buying process. A lender will often engage an impartial valuer to ensure that the buyer and the lender will know what loan amount may be warranted. The value is based on the property and location, as well as the current market. Without the services of pest and building inspectors, a homebuyer’s worst nightmare – finding out the property they have bought requires costly renovations or pest treatment – may come true. Organising a pre-purchase inspection is essential. If the property requires structural, wiring or repair work, these inspections can stop you from making a costly mistake or, if the property is still your dream home but just needs a little work, can provide a valuable bargaining chip. If you need money to make your purchase, you will need a lender, whether it’s a major bank, a second-tier or non-major, or a specialist lender for more difficult funding proposals. We do suggest using a licensed mortgage broker such as ourselves, to ensure you get a great deal that suits your unique circumstances. Brokers act as a liaison between you and the lender. They will find out about your finances and your property goals and search for and negotiate a loan product that matches your needs. Not only will they do the legwork and ensure your loan is processed as smoothly as possible but they are there to guide you throughout the entire process. For quality service and support throughout your home-buying experience, ensure your professionals are accredited with peak national industry bodies such as the Smartline Rockingham. Smartline Rockingham Mortgage Brokers are held to the highest industry qualification, experience and ethical standards.